Here is a super easy Valentine we came up with the other day. All you need is some crepe paper and lollipops and you’re set. We added some “You’re my best bud” labels but these are sweet on their own too. 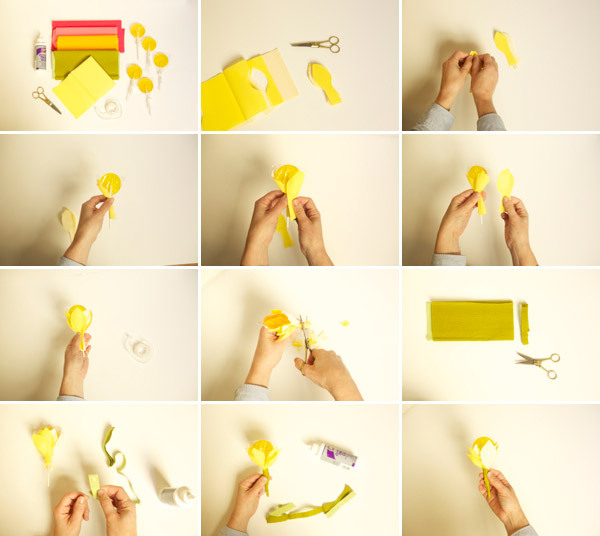 Step 1: Take a fold of crepe paper and cut out a stack of petal shapes with the paper grain going from top to bottom. Leaving a long piece at the stem. Step 2: Stretch out the petals with your thumb to form a round petal shape. Step 3: Take the sucker and add petals pinching them at the base of the candy. Step 4: Continue adding layers of petals and add a piece of tape to secure them in place. Step 5: Cut off excess paper beyond the tape. Step 6: Cut off a strip of crepe paper for the stem and dap some glue on the end of it. Step 7: Starting at the base wrap the strip around the stem and secure with a dab of glue at the end. This is such an adorable idea! You make such beautiful things with crepe paper! Would be great for kiddos in the classroom! These are super cute! I am going to save them for next year. I love how you can’t even really tell there’s a lollipop inside from some angles thanks to the yellow lollipop. It’s a sweet surprise! This is the cutest idea! I love that they’re in a planter. How fun! You don’t pretty much like the color of yellow, don’t you? LOL! I’m just kidding! I would like to thank you very much for sharing this “do it yourself” stuff of making flowers for valentines.. I’m gonna absolutely try and make flowers like this and use it tomorrow for the Valentines day! <3 BIG hug! oh that’s the sweetest ! So cute! Perfect for and Easter or Spring party also. 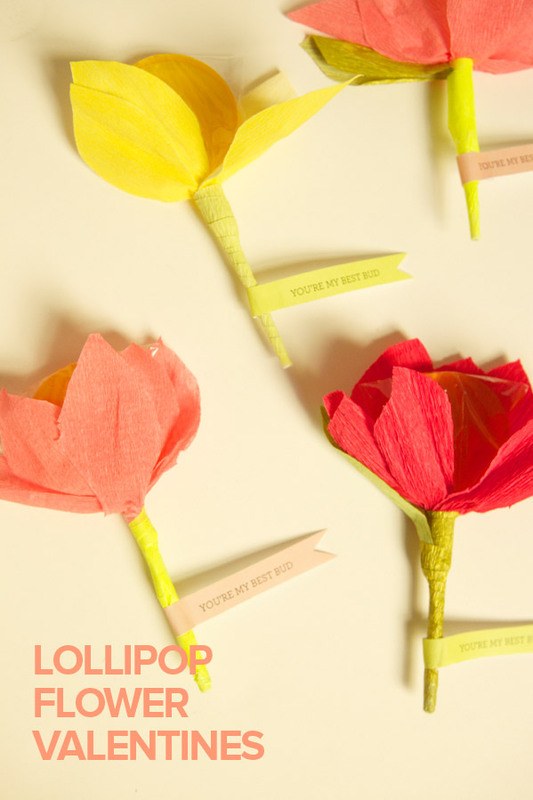 Yum, the prettiest way to present lollipops! Really great idea. I also agree with the comments, would be great for a Spring/Easter party!